Setting the world on fire is distracting Trump's base from the truth of his collusion and obstruction, writes former FBI agent Susan SurfTone. When I was in high school in the 1970s my chemistry teacher, Mr. Styles, would often remind our class everything was all just one big ball of wax. Mr. Styles was an odd little man who wore a bow tie and had taught my uncle chemistry in the late 1940s. One big ball of wax had been around for a long time and it’s still with us today. Donald Trump, Michael Cohen, Paul Manafort, Michael Flynn, Donald Jr., Jared Kushner, Roger Stone, and the Russians are all one big ball of wax we are stuck in. Thanks to Stormy Daniels and her aggressive “man on a mission” attorney, Michael Avenatti, that ball of wax just might be melting — giving Special Counsel Robert Mueller an unexpected and unlikely assist in getting to the bottom of the worst wrong turn in the history of our country. 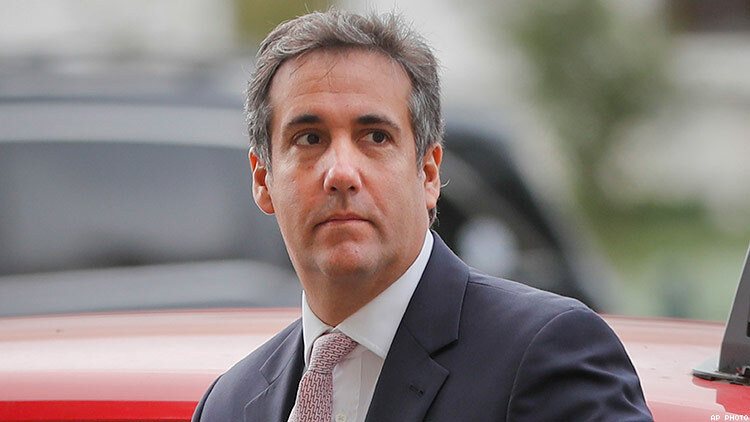 Michael Cohen, personal attorney to Donald J. Trump, just might be the match that causes the meltdown. It was Michael Cohen’s business, Essential Consultants LLC, that made the $130,000 payoff to Stormy Daniels to keep quiet about her now-dangerous 2006 liaison with Trump. It became dangerous when Trump ran for president in 2016. Media-savvy Avenatti, more than up to the challenge, got hold of Cohen and Trump and refuses to let go. In April the FBI executed search warrants at Cohen’s New York City office, apartment, and hotel room, netting the feds a treasure trove of information about the inner workings of the Donald and the Trump organization, which had opened a new office in the White House in January 2017. Speculation became rampant that Cohen would flip on his client. Instead of Mueller taking the Cohen case, it went to the U.S. Attorney for the Southern District of New York. Even if Trump moves against Mueller, he can’t stop the Southern District from going forward on the Cohen investigation. Now we find out through attorney Avenatti that Cohen, through Essential Consultants LLC, used his purported access to President Trump to talk AT&T, Novartis, Korea Aerospace, and, through private equity firm Columbus Nova, Russian oligarch Victor Vekselberg into paying him millions of dollars. The story continues to unfold, and panic sets in throughout Trump world. Trump’s strategy becomes one of global chaos creation to the max. Talks with North Korea’s Kim Jong Un take over the headlines with Trump hoping for great photo ops and maybe a Nobel Peace Prize. Who knows what the "great negotiator" will give up in desperation to convince his base, and enough independent voters, to forget all that Russian nonsense Mueller is looking into and hold off that expected blue wave in November. Trump blows up the Iranian deal President Obama labored so hard to accomplish, which has been working, by the way. More distraction. Rudy Giuliani becomes part of the Trump legal team and hits the cable shows spewing craziness at its finest. Trump moves the U.S. embassy in Israel to Jerusalem, a foolhardy move that results in death to many Palestinians and badly damages United States credibility in the Mideast. A White House staffer makes a horrible comment about war hero and senator John McCain, perhaps the last honorable man in the Republican Party, currently fighting brain cancer. With no apology forthcoming from the White House, the issue drags on in the media. Enter Chinese technology company ZTE Corp. and Trump’s desire to help that company and his friend Xi Jinping, president of China for life. Never mind that ZTE violated sanctions against Iran and North Korea. A 2012 report from a House Intelligence Committee determined ZTE was under foreign state influence and was a security threat to the United States and our systems. Trump wants to help it restore Chinese jobs. If Martians landed on the White House lawn no one would notice. The president the voters didn’t elect has single-handedly created that much chaos and confusion. One calm, cool man in Washington, D.C., is reading the tea leaves and making moves. Mike Pence, one of the best yes-men to occupy the office of vice president, is stepping out of the shadows and building his influence in the Republican Party as Rome burns. His leadership PAC, Great America Committee, is handing out checks to GOP candidates around the country. His chief of staff is Nick Ayers, an experienced 35-year-old political operative with an eye on moving up. Pence is building a political apparatus independent of Donald Trump and becoming the “go-to” guy for the Republican establishment. Pence sees himself in the Oval Office in maybe 2024 or 2020 or even sooner, and he’s making his move now to Trump’s displeasure. Is that big ball of wax coming apart quicker than we think, with Pence is positioning himself for bigger and better things? As members of the LGBTQ community we’d better prepare for that.